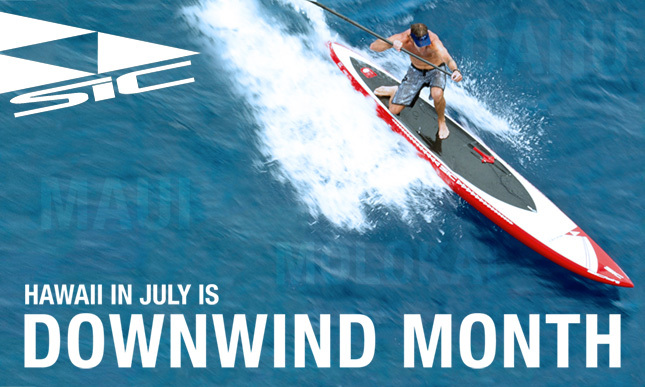 Downwind Month glides on… Connor Baxter has just won the Maui 2 Molokai race yet again, beating an all star field and firing a shot across the bow ahead of the big one, Molokai 2 Oahu. This must be about the 6th or 7th time in a row that Connor has claimed the M2M title, however this year the win was more hard fought than ever. Connor edged out fellow Maui young gun Kai Lenny by a couple of minutes, while behind him was a who’s who of the downwinding world including Dave Kalama, Travis Grant and Livio Menelau. Very interesting to look at today’s result in relation to the Molokai 2 Oahu race coming up in two weeks (and which we’ll have live coverage of). Today’s Maui 2 Molokai could be a bit of a form guide for the big one: All five of the top guys from today will be back in action on the 27th. Connor showed he’s in dangerously-good form while the other top finishers weren’t looking too shabby either, setting us up for a mouthwatering clash across the Ka’iwi Channel in two weeks. 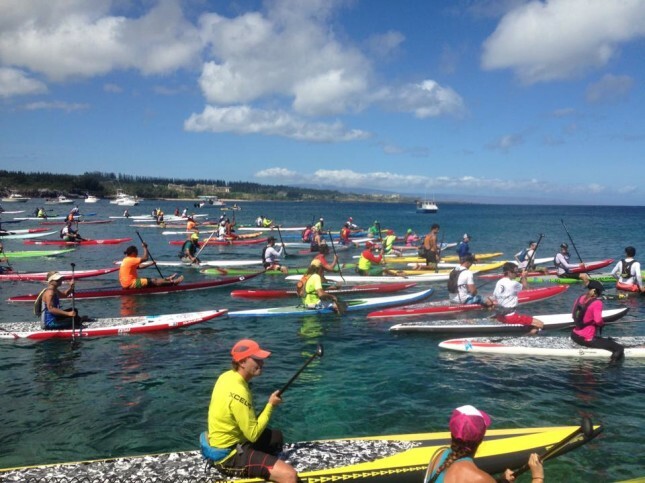 Kai Lenny was very impressive today and is extremely hungry to claim his maiden Molokai 2 Oahu unlimited victory. Dave Kalama reminded us that he’s still got it in the open ocean, his third place being even more impressive considering the first hour and a half of today’s race offered little in the way of bumps. Travis Grant was also right there for the first half of the crossing, where the conditions were probably quite similar to what’s in store at M2O. Livio Menelau would have been loving the bumps in the second half – if the wind is right in two weeks time then he’ll be another podium contender. Also a great performance today from Brazil’s international star, Vinnicius Martins, who finished 6th overall and came home ahead of dozens of downwind specialists. Vini also happens to ride for Art In Surf, who were the presenting sponsor for today’s race. In the men’s stock class Josh Riccio was the quickest, beating all the other 14 foot guys and only narrowly missing a top 10 overall finish. In the women’s race, the extremely under-rated Devin Blish put on a show and caused an upset by taking out the Downwind Queen Andrea Moller. 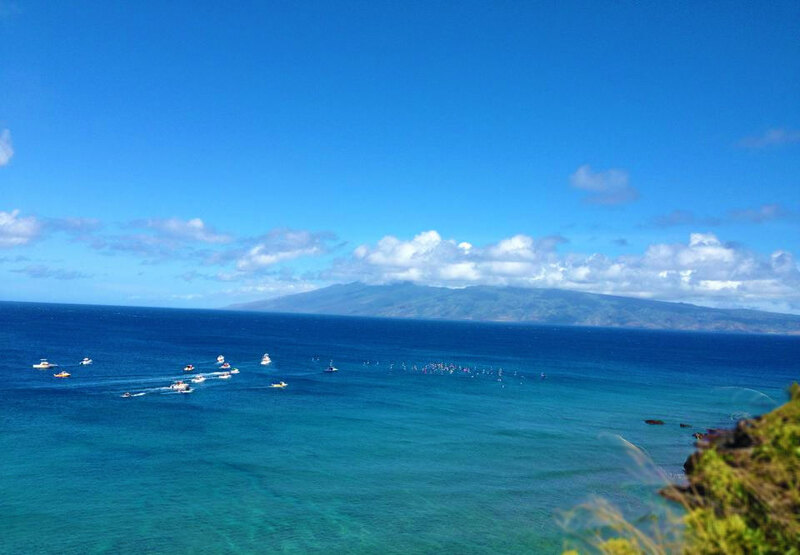 The 2012 Molokai champ, Talia Decoite, came home 3rd, just three and a half minutes behind Devin after the nearly four hour voyage. Angie Jackson had a great race to claim victory in the 14′ class as well as a 5th place overall against the unlimiteds. Also very interesting to see the equipment being used out there today. 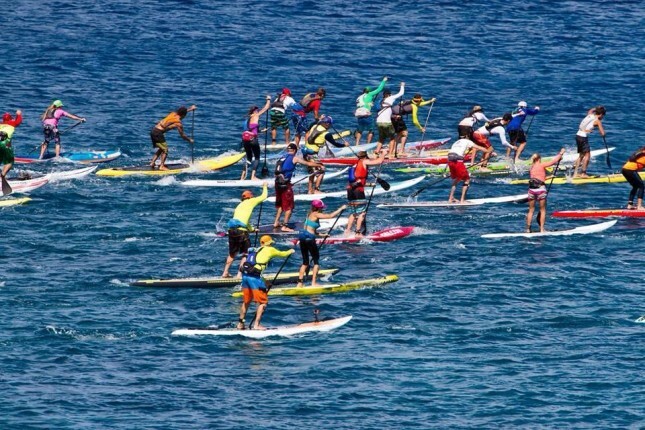 Maui 2 Molokai isn’t exactly your average SUP race and many competitors, from the weekend warriors right up to the international superstars, jump on specialised equipment when racing in Hawaii. 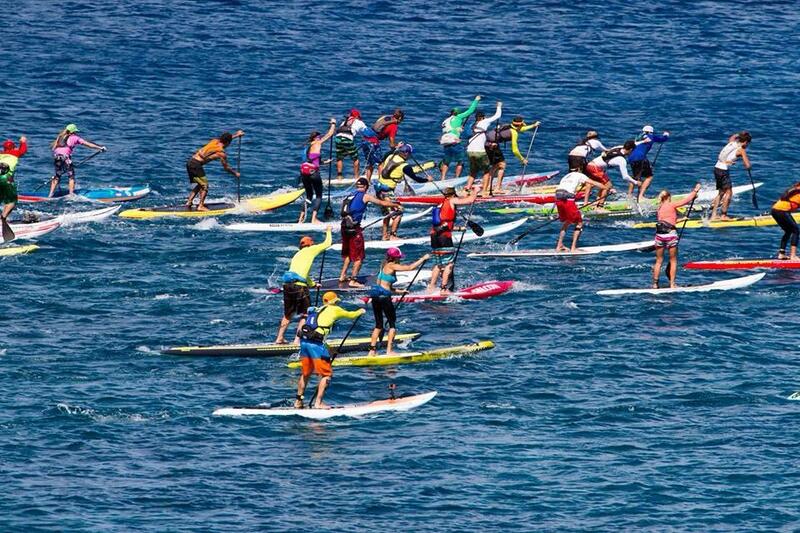 We did a quick poll of the top finishers to find out their board and paddle of choice. I don’t wanna get into a whole debate about brands (it’s fairly common practice for team riders to use custom gear in these kinda events – it’s the same thing that happens in the pro surfing world), I just figured it would be interesting to see what length and type of boards the pros are on. Obviously it’s no surprise to find SIC’s unlimited boards dominating the podiums. The brand is synonymous with downwinding in Hawaii and almost completely swept the field once again. In the women’s race, Devin Blish was on a 15′ custom SIC, Andrea paddled a 17′ production SIC Bullet and Talia was on a 16′ production SIC. On the men’s side, Connor paddled his personal 17′ custom unlimited from SIC’s head shaper Mark Raaphorst, Dave Kalama was on his 18’6″ rocket, which was custom-made at the SIC factory on Maui, while Livio was on a hollow 17′ SIC Bullet. Meanwhile Kai Lenny was on a new prototype Naish unlimited (I believe it’s 17’6″), which isn’t available for us common folk to purchase just yet (and may never be), but clearly works for the young superstar. Travis Grant used his winning board from last year’s Molokai, the Oahu-shaped unlimited board from Billy Robello that I believe is a 17 footer. On a side note, Dave Kalama must be smiling right now: He might not have won the race but his paddle swept the podium. Four of the top five guys were using his signature Quickblade V-Drive paddle, the hold out being Travis Grant (who was using his own signature QB model).